Adults should do at least 150 minutes of moderate intensity or 75 minutes of vigorous intensity aerobic physical activity per week. 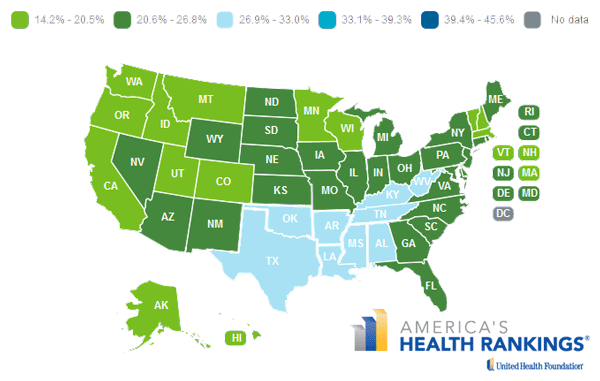 Where does your state rank? What should be done to improve? Let us know at @DietsInReview. 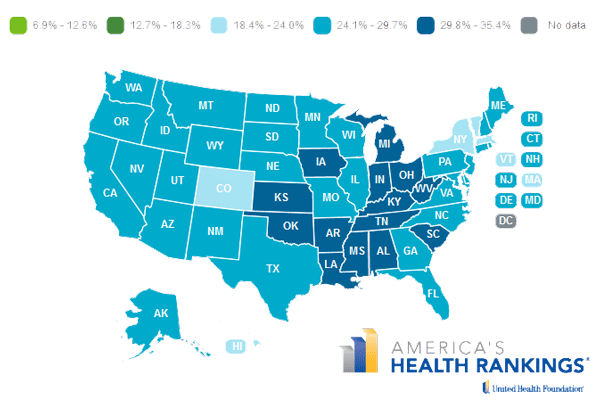 No matter how many of this kind of rankings come out per year, it seems that the mostly the same states are on the top and bottom. 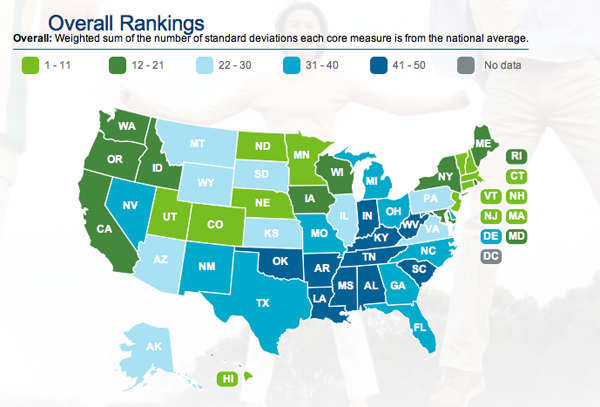 Colorado will always rank well for physical activity and low obesity rates, and Mississippi will be the bottom in just about everything. 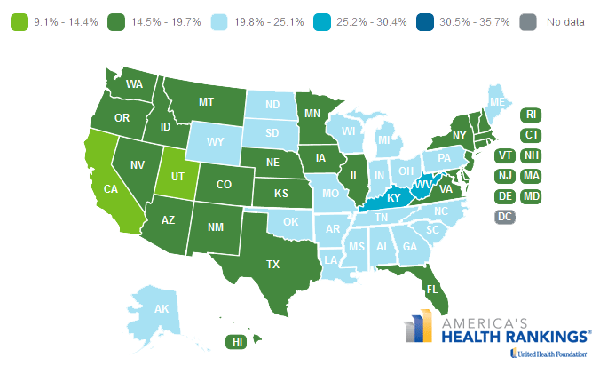 It’s likely that regional lifestyles play a major role in the overall health of a state’s residents. 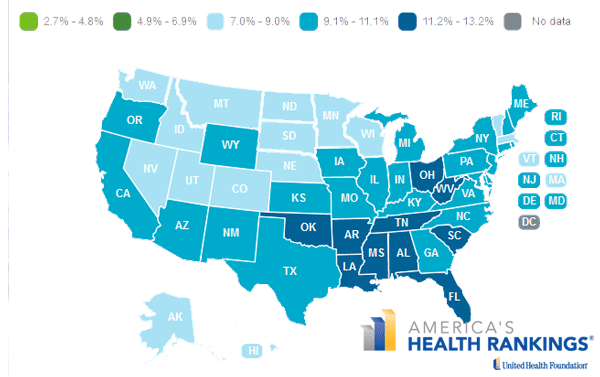 Though Southern foods and traditions may be part of the culture and an obvious culprit, low income, education, and access to health care are even more at fault.